In 1954, by decree of Soviet premier Nikita Khrushchev, Crimea was officially transferred from the control of the Russian Soviet Socialist Republic to that of the Ukrainian Soviet Socialist Republic. The move transferred over a million ethnic Russians and nearly 250-300,000 Ukrainians to Ukraine. 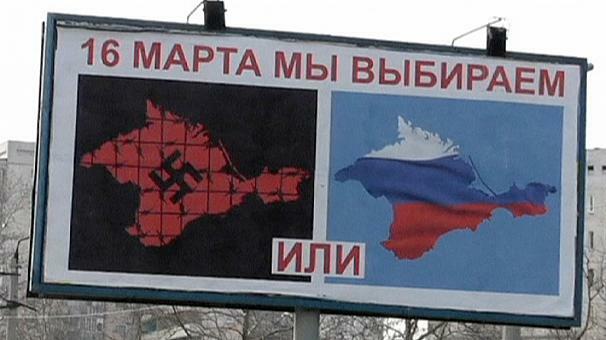 When the Soviet Union broke up in 1991, Crimea remained a part of Ukraine. 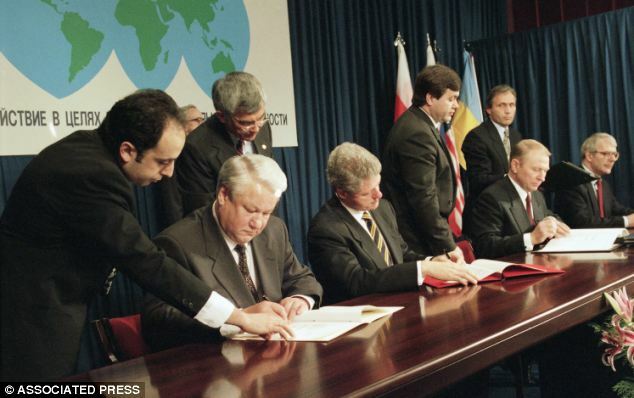 The Belavezha Accords, which effected the breakup of the Soviet Union, also detailed that the port city of Sevastopol, along with the rest of Crimea, were both to remain a part of Ukraine. 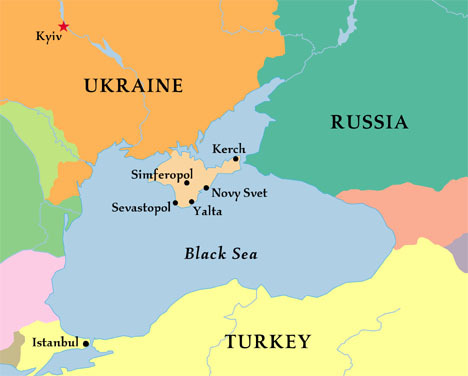 Russian use of Crimean military ports at Sevastopol was guaranteed until 2017 under the Partition Treaty of 1997, and in 2010 was extended through 2042 by the Kharkiv Pact. Seek immediate United Nations Security Council action to provide assistance to Ukraine, “if Ukraine should become a victim of an act of aggression or an object of a threat of aggression in which nuclear weapons are used”. Viktor Yanukovych was elected president of Ukraine in February of 2010 on a platform promising closer ties to the European Union and the West in general. In November of 2013, Ukraine asked for $27 billion in aid and loans from the European Union. They were offered less than $1 billion in return. Russia, however, offered $15 billion. Yanukovych’s government chose to seek closer ties with Russia. As a result, thousands of demonstrators, primarily in the western parts of the country, took to the streets demanding a return to the 2004 Ukrainian constitution, which had been abolished shortly after Yanukovych was elected. As the protests grew larger, Russian authorities put pressure on the Ukrainian government to bring an end to the demonstrations. 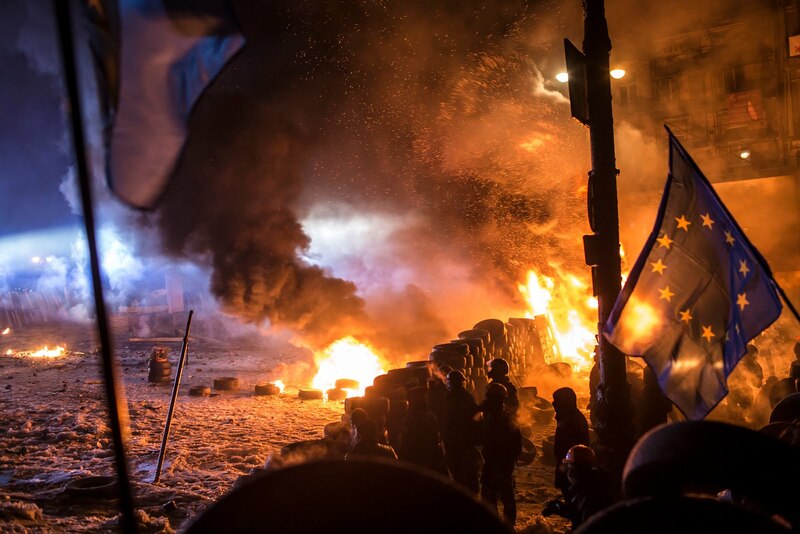 The protests centered around the Maidan in downtown Kyiv, and thus took the name Euromaidan. The Euromaidan protesters fortified their area in the city with burning barricades, tires, and wooden obstacles; at one point, a trebuchet was even built. As tensions mounted, regular police were replaced by the elite Berkut riot police, a militarized police force trained in urban combat and crowd dispersal. 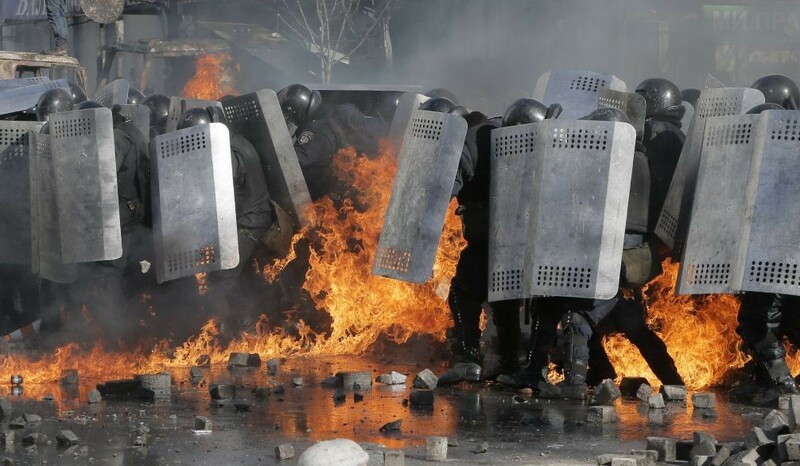 The Berkut were notoriously heavy-handed, and on February 18th, 2014, tensions came to a boiling point. 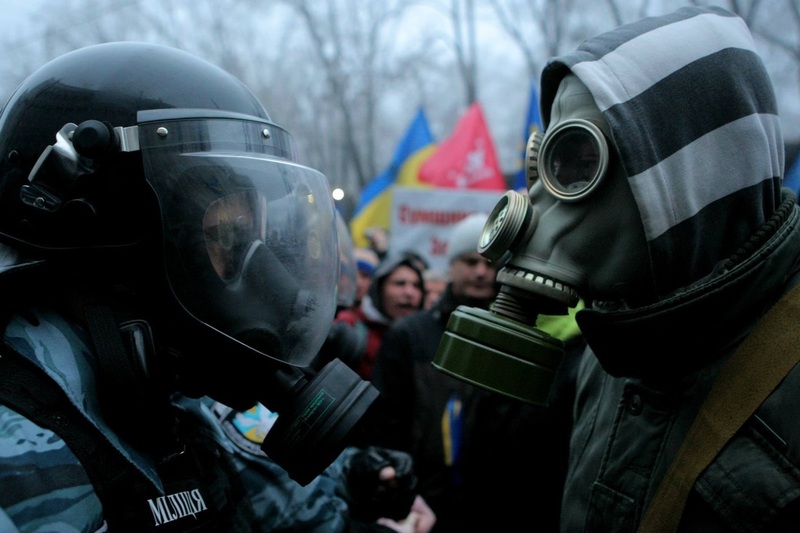 Police and protesters met on the streets, and over 20,000 citizens surrounded the parliament (or Rada) building. Batons were met with bricks, bricks with tear gas, tear gas with Molotov cocktails, eventually culminating in automatic weapons and sniper fire. Police overran the Maidan and by the time the smoke began to clear on the 21st, over 80 people had been killed. Despite the signing of a deal with opposition leaders on the 21st, Yanukovych was put up for impeachment by the parliament on the same day. Yanukovych fled for Kharkiv, and eventually Russia, leaving the presidency vacant as declared by the parliament on the 22nd. Later that day, the parliament voted 328-0 to impeach Yanukovych and named Oleksandr Turchynov interim president. This high number has led some to cast doubt on the reality of the vote, but the fact remains that the president was removed from power via a democratic process of at least a majority. Presidential elections were scheduled for the 25th of May to decide on a permanent president. Rumors of fascists taking power in Kyiv were spread by Russian media, and on the eve of the revolution tensions in Crimea reached a high point. When Yanukovych was ousted, many ethnic Russians in Crimea felt threatened. The Crimean parliament called for an extraordinary session and voted to recognize the interim Ukrainian government in Kyiv and abide by all laws and regulations declared by said government. As protesters in Sevastopol took to the streets protesting the new, pro-European government in Kyiv, rumors of Russian military forces mobilizing became rampant. A call to arms was issued by pro-Russian forces, and “self-defence militias” with support from special forces troops, began surrounding Ukrainian military bases in Crimea. Highly trained military personnel with high-tech equipment, known as “little green men”, began locking down key highways and transport hubs outside the major cities of Crimea. At the time, Russia denied these were their forces, but months later it was revealed by President Putin himself that the forces were in fact Russian special forces in Ukraine under orders from the Kremlin. 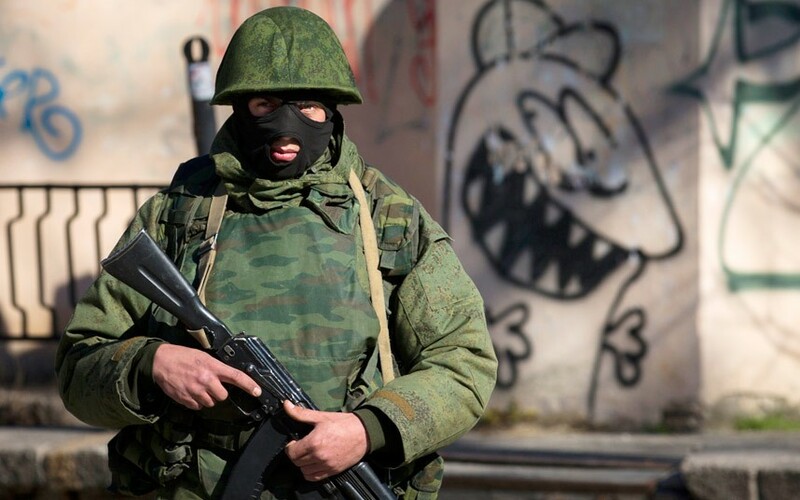 On February 27th, masked “little green men” stormed the parliament building in Crimea and raised the Russian flag. An emergency session of the Crimean parliament was held behind closed doors, after which they voted to dissolve the Crimean government and replace the prime minister, Anatolii Mohyliov, with Sergey Aksyonov, a member of the Russian Unity party, which had only won 4% of the vote in the most recent elections. A referendum was also declared for May 25th at which point the people of Crimea would vote on greater autonomy from Ukraine. Communications to the parliament building were cut and phones, laptops and other personal communications devices were confiscated from members of parliament by little green men prior to entering the building. Allegations have been raised that the vote was incomplete or forced, with some members of parliament claiming that ballots were cast by masked men for parliamentary members who were not present. On the morning of February 28th, soldiers later identified as Russian stormed the international airports at Simferopol and Sevastopol. Naval vessels of the Russian navy arrived in Balaklava harbor and blockaded the harbor, trapping Ukrainian naval forces in port. The new Crimean prime minister, Aksyonov, formally requested “peacekeeping forces” from Russia to help protect Crimea from “fascists” in Ukraine, and on March 1st Putin asked the Federation Council of Russia for permission to “use the armed forces of the Russian Federation on the territory of Ukraine until the normalization of the socio-political situation in that country”. The council voted unanimously in favor of such a resolution a mere hours later. Thus, on March 1st, transport aircraft with Russian forces, still without insignia, began arriving in Crimea to bolster the forces already in-country. The Russian consulate in Simferopol began issuing Russian passports to citizens of Crimea, and among the first to receive their newfound identities were former members of the Berkut riot police. 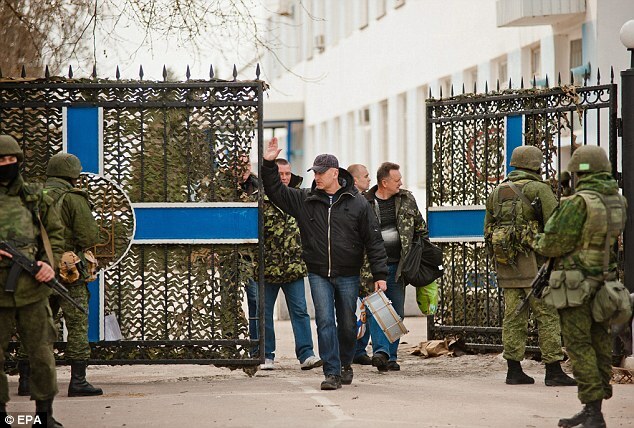 The disgraced officers had taken up arms alongside the “little green men” to control the roadways and transport hubs of Crimea, and starting March 1st prohibited any Ukrainian journalists from entering Crimea. Ukrainian forces stationed across Crimea awoke on the 2nd to find themselves surrounded by “little green men” and pro-Russian separatists. 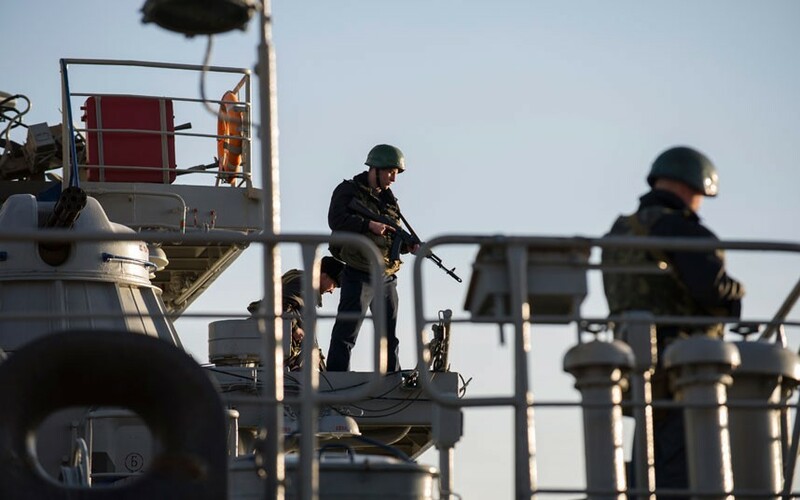 Attempts to storm Ukrainian naval ships were made and several bases were assaulted. Across Ukraine, reservists were awakened by the telephone as every member of the Ukrainian armed services was called up and put on alert. On March 4th, Putin issued a statement that no Russian forces were yet in Crimea, despite overwhelming evidence to the contrary. On March 6th, the parliament of Crimea voted to join Russia and put the issue up to a regional referendum to be held on March 30th (later moved to March 16th). Reportedly the vote to initiate the referendum was done illegally and without a quorum, and as such was condemned as illegitimate by, among others, the United States and the European Union. It is important to note that the Mejlis of the Crimean Tatars voted not to participate in the referendum as­ they also saw it as illegitimate.23 That night, the homes of Tatars were marked with the letter X by as-yet unidentified gangs. Finally, the first of several blockade-ships was scuttled in Donuzlav Bay to prevent the Ukrainian navy from sortieing to sea. 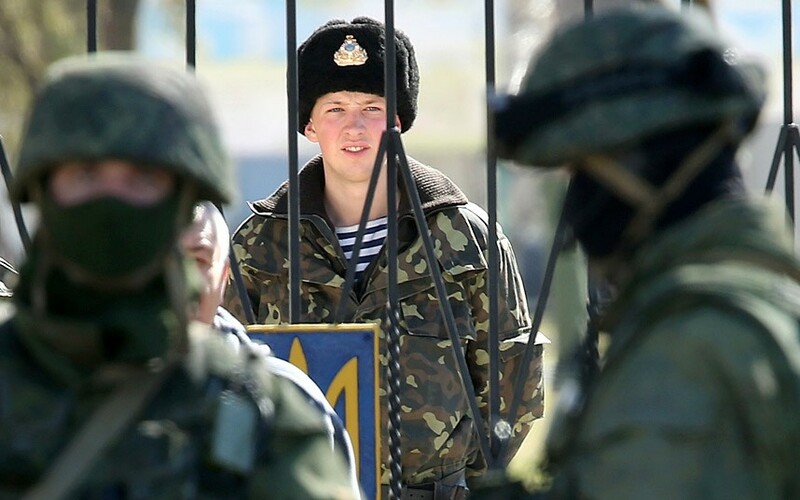 Between the 7th and 10th of March, the estimated number of Russian troops in Crimea grew to 30,000. More and more Ukrainian bases fell or were besieged by Russian forces, and while the transfers of power and assaults were largely peaceful, the lack of violence can really be attributed to two factors. First, the professionalism of the Russian forces in Crimea. The forces in Crimea were likely members of Russia’s elite airborne unit, the VDV, along with specialized internal police forces and other special forces units. Their discipline meant that no information was leaked from any of the Russian forces to the media as to the origins of the force, although said origins were obvious to even a casual observer. Second, and perhaps more important, were the actions of the Ukrainian military officers of Crimea, who not only allowed any soldiers who wished to join the new Crimean Autonomous forces to do so, but in many cases locked up or hid the weapons of their respective bases to prevent any provocations and gunfire from their own side. On the 11th and again the 12th of March, observers from the OSCE were prevented from entering Crimea at gunpoint, thus prompting the OSCE to declare the referendum illegitimate. Between the 12th and the 16th OSCE observers were continually barred from entering Crimea, and as more bases fell to Russian forces, Crimeans lined up at the polls to vote in the referendum. As mentioned before, the Tatars were almost entirely missing from the vote, and the ballot boxes were guarded by Russian troops. The vote has largely been condemned as illegitimate, but nevertheless resulted in an “overwhelming decision” to join Russia (97 percent in favor with an 83 percent turnout). In reality, it is estimated that only 30-50 percent of Crimeans turned out to vote, and of those, only 50-60 percent voted in favor of annexation. By March 17th, Crimea had declared its independence from Ukraine and requested annexation by Russia. That night, the body of a 39 year old Tatar man was found. The man, who had been tortured before his death, is arguably the first death in the Russian invasion of Ukraine. He had last been seen taking part in a protest against the annexation of Crimea by Russia, and was missing for over two weeks before his mutilated body turned up. Over the next several days, a ceasefire between Russia and Ukraine was held, and despite the deaths of two more people (one pro-Russian citizen and one Ukrainian soldier), the annexation and removal of Ukrainian forces from Crimea was largely peaceful. 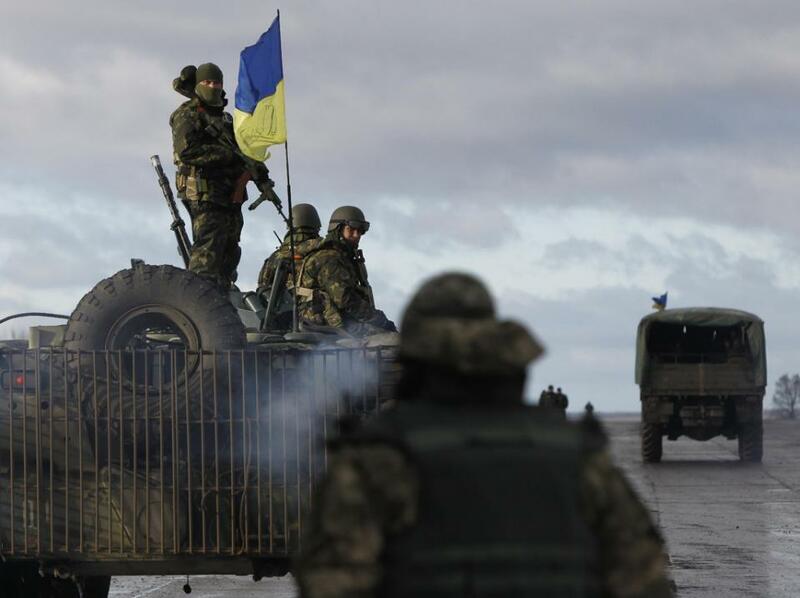 By the 21st, Ukrainian forces began pulling out of Crimea. On March 24th, Russia was kicked out of the G8, which became, once more, the G7. This is one of the more prominent examples of the West using diplomacy to try to force the Russians to change their pathway toward war, and unfortunately it proved nearly useless. In fact, its only use came in the form of anti-West propaganda repeated on such “reputable” news sources as RT. The following day, Russia awarded a medal to former-Ukrainians who assisted in the annexation of Crimea. On the medal is an inscription that reads “The return of Crimea – February 20th-March 18th”, thus giving way to speculation that Russia was behind the shootings of protesters during Euromaidan (hence the February 20th). Between the 27th and 28th, the UN General Assembly voted 100 to 11 in favor of condemning the referendum in Crimea as illegal, with 58 nations abstaining. By April 1st, Crimea had changed to Moscow time and become a de facto part of Russia. 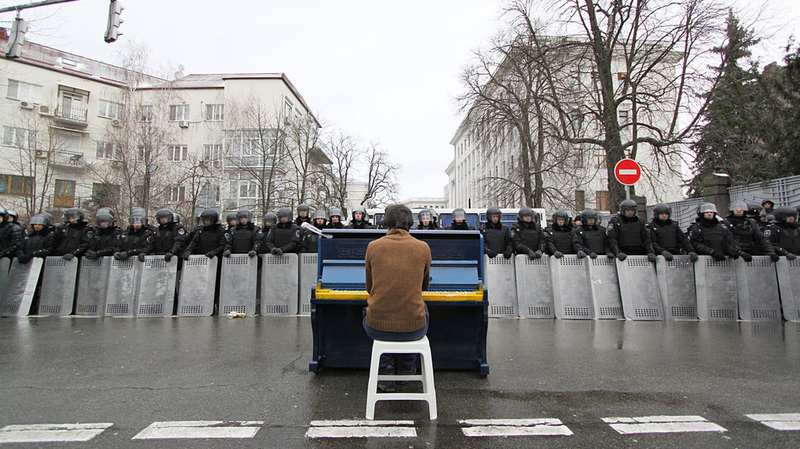 Throughout the Crimean crisis, protests had begun sparking up in the Donetsk and Luhansk oblasts of East Ukraine. 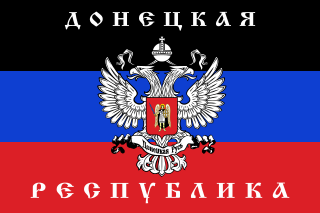 On April 7th, heavily-armed pro-Russian forces stormed the SBU (State Security) offices in Luhansk and Donetsk, and rebels on Donetsk declared the Donetsk People’s Republic (DPR) and requested annexation by Russia similar to that of Crimea. Over the following two days, security forces and armored vehicles from the central government arrived in Donetsk and Luhansk as a “last resort” to be used if the situation did not deescalate. On April 11th, Ukrainian Prime Minister Arseniy Yatsenyuk arrived in Donetsk to try to salvage the situation, promising greater autonomy for the Luhansk and Donetsk regions. The following day, pro-Russian militants from Russia, Crimea, and Ukraine assaulted several government buildings in Sloviansk and looted their guns, distributing them to other protesters. Finally, on April 13th, the Ukrainian government declared an “Anti-Terror Operation” (henceforth ATO) to reclaim captured buildings, with two Ukrainian serviceman deaths in the first day. The mission was a failure, with rebels remaining in command of the buildings they had taken. On April 17th, flyers were distributed in rebel-held Donetsk instructing all Jews to register with the DPR and pay a $50 tax. To many of the Jewish residents, this brought back memories of events leading up to the Holocaust, and combined with the aforementioned treatment of the Tatars, has led many to join the nearly 1.1 million Ukrainian citizens currently displaced by the conflict. By April 14th, rebels in Donetsk and Luhansk oblasts had captured government buildings in several major cities, including (other than Donetsk and Luhansk) Mariupol, Horlivka, and Sloviansk. The acting government of Ukraine signed a decree on the 13th granting amnesty to all those involved in the takeovers if they laid down their arms within 24 hours, and further proposed greater concessions for regional autonomy than were originally offered. 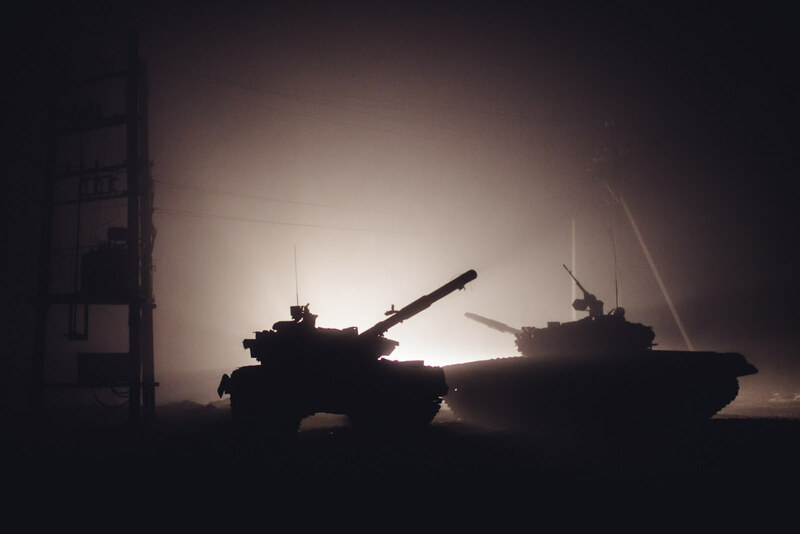 When the separatists refused to accept the offer, the Ukrainian government launched an assault on Sloviansk that resulted in a siege that lasted until June 5th, at which point Ukrainian forces reclaimed the city. On April 27th, the Luhansk People’s Republic (LPR) was declared, and with their ranks swelled by an influx of former Berkut troops, began capturing more government buildings in more cities across Luhansk. Ukrainian forces began battling DPR forces in Mariupol on April 13th, and by the 24th had largely routed the rebel forces. 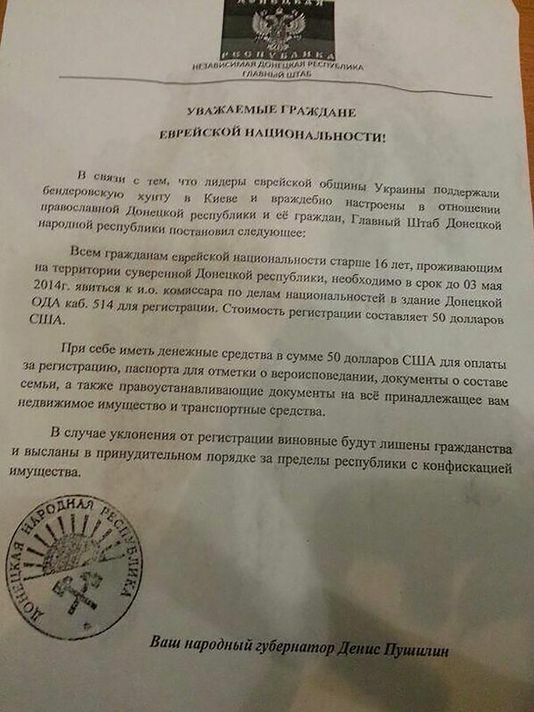 On the 16th of May, with the help of local iron workers, Ukrainian forces retook the local administration building, with the city formally falling under Ukrainian control on June 13th.On May 12th, rebel leader Igor Girkin declared himself the leader of the DPR and demanded the immediate surrender and allegiance (within 24 hours) of all armed forces in the region. Meanwhile, Pavel Gubarev, the president of the DPR, declared martial law and pledged to destroy all Ukrainian forces which remained in the Donbas region. On May 22nd, the DPR and LPR confederated under the flag of Novorossiya. Thus, further mention of the pro-Russian forces in either Luhansk or Donetsk will be referred to as NAF, or Novorossiya Armed Forces. Ukrainian forces will henceforth be known as UA (Ukrainian Army), and Russian forces will be designated on an individual basis. Following their respective referendums, which both ended in a vote to join Russia, LPR and DPR forces began attempting to consolidate their gains. Throughout the end of May and early June, the situation continued to escalate, with UA forces backed up by air support. Ukrainian forces made advances in the western parts of Donetsk and Luhansk while NAF forces secured border crossing sites on the Russian border and continued to hold out in several of the major cities. On June 11th, Ukrainian forces reported that Russian military personnel and equipment had crossed into Ukraine. 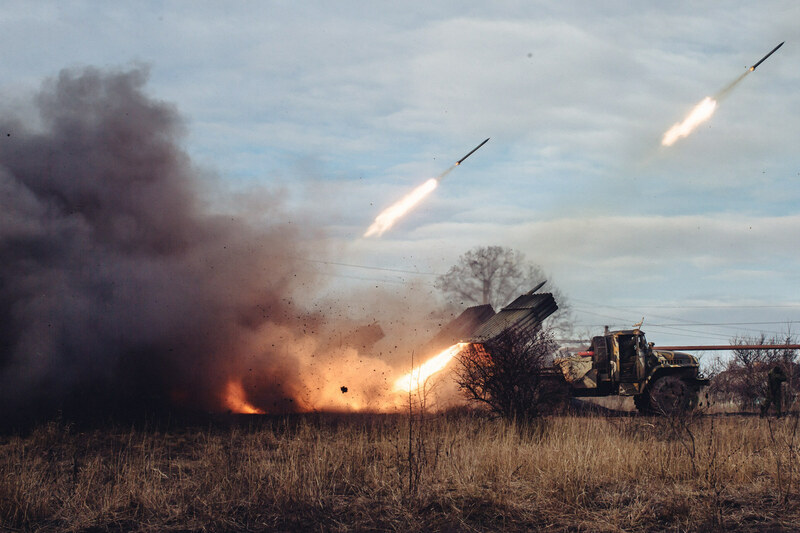 T-64 tanks and BM-21 Grad MLRS, with supporting infantry, were spotted in NAF areas, and on the next day a counteroffensive commenced which saw heavy losses on the UA side. In late June, the newly-elected Ukrainian president, Petro Poroshenko, declared a ceasefire to be in effect while the government attempted negotiations with LPR/DPR leadership. When this failed, Ukrainian forces launched a major counteroffensive, starting on July 1st. Heavy shelling on the part of UA forces assisted them in routing NAF forces from several key towns, notably Kramatorsk and Sloviansk. Between 400 and 1,000 NAF rebels were killed on the 1st alone. Ukrainian forces formally retook Sloviansk on the 5th, and NAF forces went into a full retreat, with DPR forces pulling back almost entirely to the city of Donetsk. Rebels began attacking government forces who were still holding out at Donetsk International Airport on July 10th, a battle which would last until January 2015. Fighting died down for several days, then reignited around the 16th in parts of eastern Donetsk Oblast. The following day, an event would take place that would change the shape of the conflict and bring the war front and center in world attention. Along with tanks and APCs, Russia had been providing the rebels with higher-tech weaponry as well, such as drones, artillery radars, and anti-aircraft systems. At around 3:20 PM on July 17th, Russian troops operating an advanced 9K37 “Buk” anti-aircraft missile launcher noticed a large blip on their radar. They tracked the aircraft and, suspecting it was a government transport (of which at least two had already been shot down in recent weeks), they fired. Moments later, an explosion reported a successful kill. The crew, in celebration, phoned their commander to report the shot. The feeling of elation soon subsided as hundreds of bodies began raining from the sky. It soon became apparent that the aircraft downed was not a government transport, but actually a Boeing 777 passenger liner carrying 298 people. 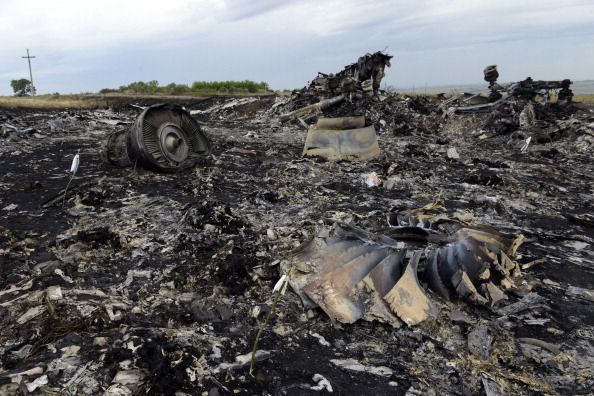 Malaysian Airlines Flight 17 was destroyed by shrapnel from a missile warhead which impacted the starboard-front of the fuselage, just behind the cockpit. The aircraft, traveling at 30,000 feet, was quickly ripped apart and destroyed. An immediate cover-up was instigated, with Russian media reporting that the airliner had been shot down by a Ukrainian Air Force Su-25 ground attack aircraft. Unfortunately for this version of events, it is impossible from a technical standpoint for an Su-25 to shoot down a 777 at altitude, as MH-17 was. The Su-25 is, as stated above, strictly a ground attack aircraft. Those familiar with American military technology can make the comparison to the A-10 Thunderbolt II. The Su-25 lacks a pressurized cockpit, thus making it unable to fly at 30,000 feet. In addition to this, the aircraft is designed for low-speed loitering over a battlefield, not engaging aerial targets at speed. 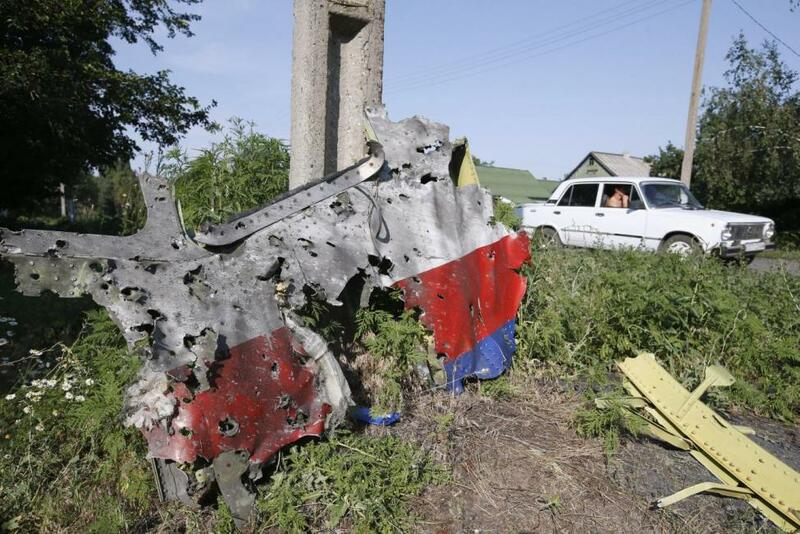 As such, the Su-25 fleet owned by Ukraine lacks the technical ability to shoot down another aircraft. The Su-25 has no air attack radar, and further does not carry air-to-air missiles. There is a version that is capable of attacking other aircraft, but this version is only employed by Russia. Additionally, overwhelming evidence to the contrary has been presented which proves it was a Russian-operated Buk which was responsible for the murder of nearly 300 civilians. The vehicle, with ID number 3X2 (X being the unknown number), was attached to the Russian Army’s 53rd Air Defense Brigade, and was being operated by “volunteer” forces of the Russian army, either from Unit 11385 of the 2nd Automobile Battalion or from Unit 83466 of the 147th Automobile Battalion. 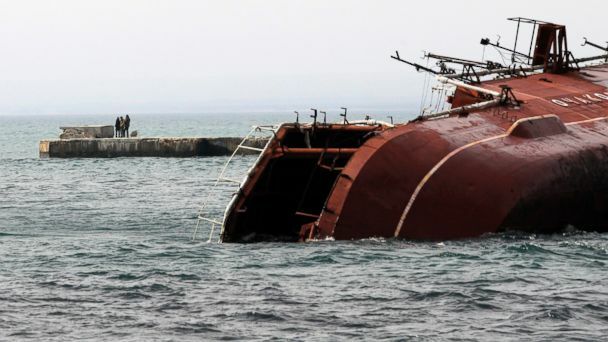 The crash brought Ukraine back to the forefront of world attention and is likely responsible for many of the nations that voted to place trade and economic sanctions on Russia in the wake of the disaster. In the immediate wake of the shoot-down, the war in Ukraine seemed to quiet down for a few days before re-erupting on the 21st of July with extremely heavy fighting in Donetsk. Government forces rapidly recaptured several cities in the Donetsk and Luhansk oblasts before the frontline stalled out in Lohansk around mid-August. Seizing the opportunity, NAF troops, heavily supported by Russian regular military forces, launched a large counteroffensive. In the city of Iloviask, government forces became enveloped in a pocket, something which would come to haunt Ukrainian military forces again in the near future. The volunteer battalions supported by the UA forces were essentially abandoned by the military proper and left to fend for themselves, with heavy casualties resulting. As the offensive continued, “little green men” appeared in eastern Ukraine, the same soldiers responsible for the takeover of Crimea. 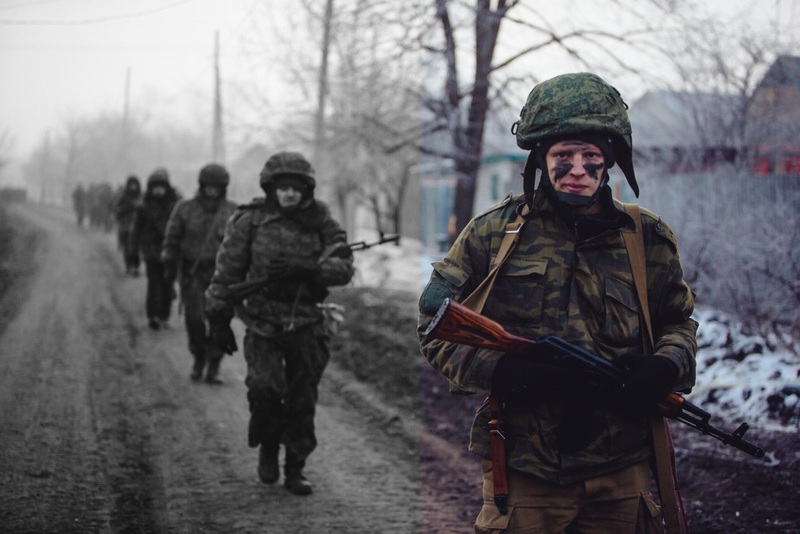 Russian soldiers prepared themselves to fight in Ukraine. At several training bases across Russia, tanks were readied for combat; reactive armor was attached, shells were stocked up, and identifying markers were painted over. Soldiers removed identifying patches and left behind documents (or they were supposed to). After a few months of last-minute training, the conscripted Russian soldiers were sent to the frontline. Often their first indication that they were in Ukraine would be a road sign for a major Ukrainian city, such as Donetsk or Luhansk. They were told that the Ukrainian people were ready to rise up, to join the ranks of the NAF if they were simply given support to do so. They were told that the fight was against NATO mercenaries, in particular Polish soldiers, but these rumors have proven to be simply untrue. Regardless, the soldiers fought independently of the pro-Russian rebels. Reports indicate the disjointed, disorganized nature of the NAF. Regardless of their lack of organization, when backed with regular Russian forces the NAF was able to make large advances into Ukrainian territory, finally culminating in a ceasefire in September of 2014. The ceasefire essentially froze the frontline, but fighting continued at such flashpoints as Debeltseve and Donetsk, in particular Donetsk International Airport, which remained partially in the hands of UA forces. As rockets and shells continued to fall across much of Eastern Ukraine, a group of Ukrainian soldiers remained firmly in place at Donetsk Airport. These soldiers used the former military infrastructure of the airport as a series of bunkers, surviving wave after wave of enemy assaults and thousands of rockets, shells, and mortars. Eventually they became known as the Cyborgs of Donetsk Airport for their seemingly inhuman ability to stay alive under fire. As the days grew colder, both sides began digging in with trenches and fixed emplacements like something out of World War 1. In January of 2015, the “winter offensive” began, with NAF troops assaulting the airport in large numbers. Mariupol was shelled once again, killing dozens of civilians, and two buses full of civilians were similarly attacked with rockets, killing another dozen and a half. 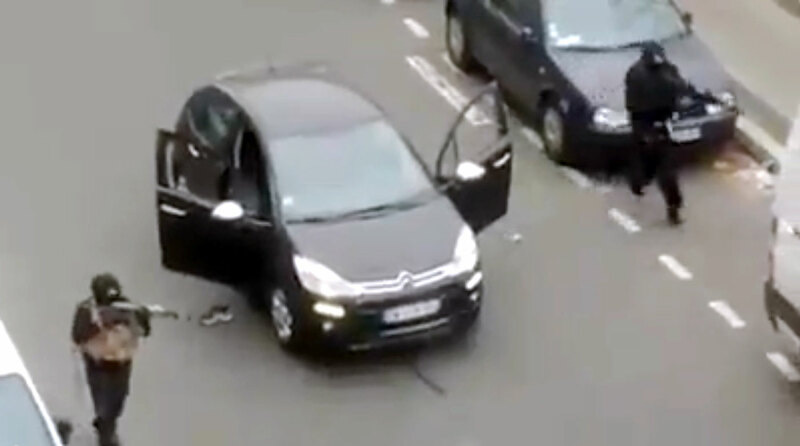 Fortunately for Russia, these rocket attacks occurred whilst the Charlie Hebdo attacks were taking place in France, drawing away much of the world’s attention. In Minsk, Belarus, the leaders of Belarus, Germany, France, Russia, and Ukraine met, along with representatives from the LPR and DPR. Their goal was to reaffirm their commitment to peace which had initially been agreed upon in September. The new treaty, known as Minsk II, came into effect on February 14th, 2015. The agreement called for the immediate withdrawal of all heavy weapons (artillery, tanks, mortars) to prescribed lines and a cessation of all hostilities on the front line.41 Unfortunately for Ukraine, the rebel forces seemed to ignore the ceasefire and, before the ink on the agreement was even dry, launched an assault on the city of Debaltseve. 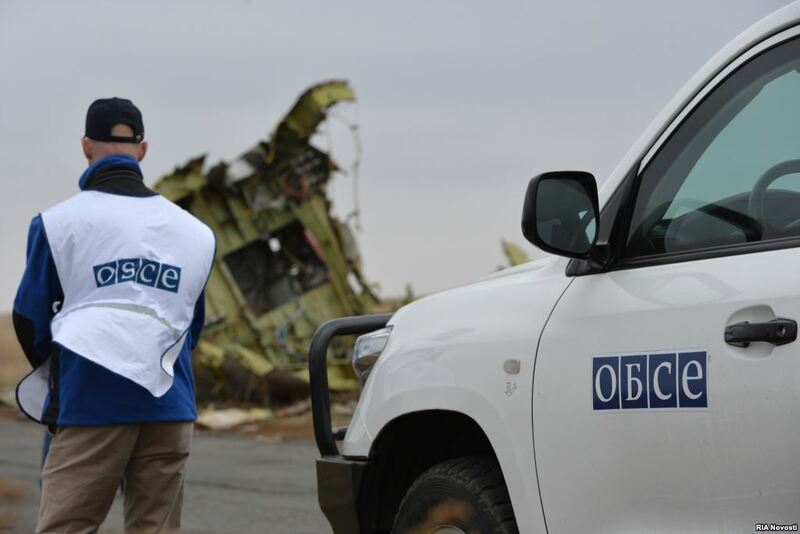 During the day, when OSCE observers were present, the fighting would cease for the most part. At night, when they retreated to their headquarters, the shelling would continue. During the three months between the agreement and the 9th of May, at least 28 individual towns and villages fell to the rebels as the Ukrainian army tried desperately to uphold a ceasefire one side, the side of the rebels, seemed not to recognize. Although Russia officially denies it has troops in Ukraine, there is overwhelming evidence to the contrary. The NAF have claimed their heavy equipment is simply captured from Ukrainian stores, which to the untrained observer appears plausible. Unfortunately, it has been documented repeatedly that, among the captured vehicles, Russia has sent its own army to fight alongside the rebels. 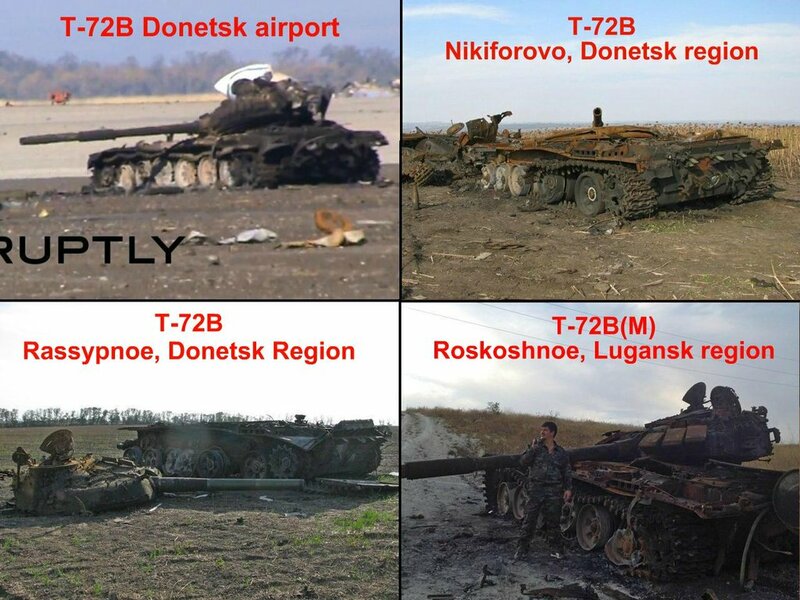 While the Ukrainian army does operate the T-72 tank, for example, it does not operate the T-72BM variant. Said tank is only in use by the Russian army. It can be identified by its unique camouflage known as “Nakidka” camouflage, which is designed to absorb radar, and new Relikt explosive reactive armor on the turret and front of the vehicle. The fact that NAF attacks have included the BM variant proves that they could only be getting the hardware from one supplier: Russia. A photograph from Donetsk shows a small group of BM-21 Grad MRLS vehicles. Ukraine does operate the BM-21 Grad. 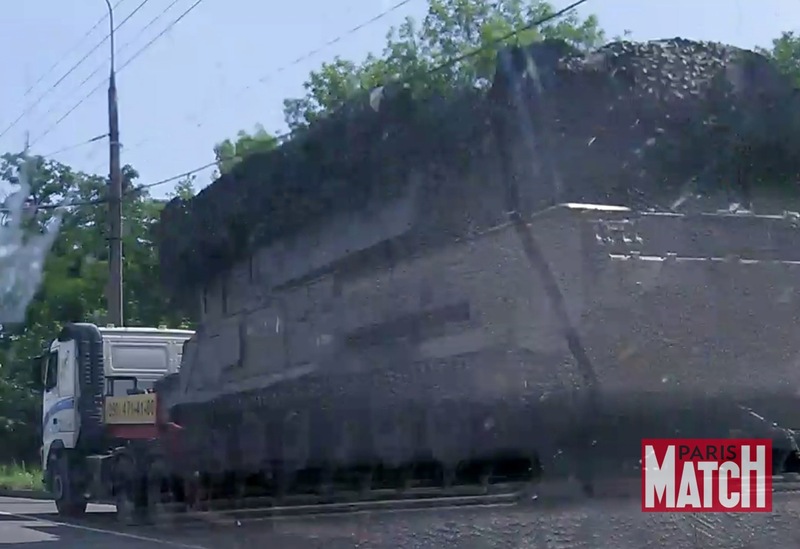 However, in the photograph one can see a BM-21 Grad-K variant, once again a variant not in use by Ukraine. In the city of Makeeva, another MRLS vehicle was spotted, this time a BM-30 Smerch. While Ukraine does operate the Smerch, it has not lost any of them in the war either to destruction or capture, making it impossible for the rebels to have obtained one in such a way. According to a wounded Russian soldier, Russian troops are recruited from their units for “volunteer” missions in Ukraine. They are promised higher pay and the chance to “make a difference” against the “fascists” in Ukraine. Once they accept, they are sent to training camps near the border where they paint over their unit markings, remove their patches, and collect/leave behind their identifying papers. From there, the troops are used to back up rebel offensives. The rebel troops, according to Russian army sources, are of extremely poor quality and do not stand up against the Ukrainian army very well. To assist them, conscripts from the Russian army are sent in with tanks to bolster rebel troops. Other times, special forces units are deployed, as was seen in Luhansk. The troops in question were armed with the AS “Val” assault rifle, a weapon only in use by the Russian army. Finally, Russian government documents discussing the deployment of troops to Ukraine, along with other relevant documents, have formed a paper trail which was picked up by the late Boris Nemtsov, a member of the Russian Duma. Nemtsov’s report, “Putin. War.” was released posthumously on May 12, 2015. 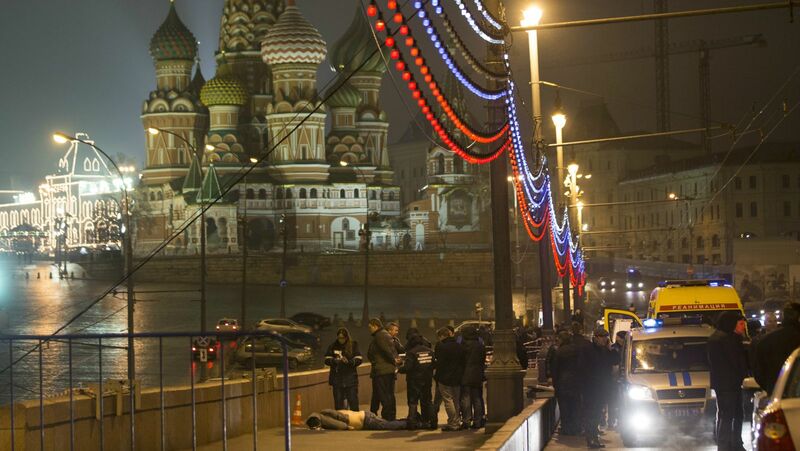 Nemtsov was gunned down by an as-yet unidentified assailant within a block of the Kremlin. In addition to the aforementioned evidence, one does not need to look far to see further evidence of Russian involvement. Advanced radar systems, intercepted phone calls, and photographs uploaded by Russian soldiers to social media all point directly at the Kremlin as responsible for the war in eastern Ukraine. The United States has been firm in its support of Ukraine’s sovereignty, and has begun supplying the Ukrainian army with non-lethal aid. Canada has likewise supplied Ukraine with non-lethal aid, typically in the form of medical supplies, uniforms, body armor, and advanced battlefield technology (night vision goggles, artillery-tracking radar, etc.). France cancelled the delivery of two Mistral-class assault ships it had built to sell to Russia and has agreed to refund the money Russia has already paid toward them. President Poroshenko has repeatedly asked UN Secretary General Ban Ki-Moon for the deployment of peacekeepers in Eastern Ukraine, a move supported by NATO. As of this writing, the ceasefire has all but broken down. More than 80 Ukrainian soldiers have died since the ceasefire began, and the cities of Donetsk, Luhansk, Shyrokyne, and Mariupol, among several others, have seen repeated fighting, shelling, and explosions. On almost a daily basis there is a terrorist attack in western Ukraine, usually in the city of Odessa, which between the 10th and 12th of May alone saw 5 bombings. More recently, the NAF have been putting OSCE decals on their cars to avoid fire from Ukrainian positions, typically so they can surround and assault said positions. During the Polish presidential elections, one of the candidates reaffirmed his support for Ukraine by claiming, if elected, he would send Polish military forces into Ukraine to bolster Ukraine’s army. He ended up winning in a very close election. Should Poland get militarily involved, it is very likely that either NATO or the Visegard Group will become entangled in the conflict as well. This makes the conflict in Ukraine of the utmost importance to the West, as its potential to spiral out of control greatly exceeds the risk of similar events being spawned by other world conflicts that are currently in progress. What Ukraine desperately needs from the West is financial support and advanced military technology. Ukraine’s domestic military production is among the best in the world, so there is no shortage of factories and facilities to build and maintain military equipment. However, Ukraine lacks advanced gun sights, radar systems, and encrypted radios, meaning the NAF and Russian soldiers can easily intercept Ukrainian military transmissions and set up ambushes. If the United States wants to offer token support to Ukraine, doing the above is likely the best course of action. If the US and her Western allies do not support Ukraine, it is likely that the entire eastern half of the country will be carved off, along with the cities of Mariupol, Kharkov, and Odessa. As of this writing, the ceasefire is continuing to break down, and in all reality only stands in theory. As of September 2015, events in Ukraine have all but stabilized. While in recent days (April mostly) there has been a significant increase in violence, it still has not returned to pre-September 2015 levels and seems to be dropping off as we head into May. Very thorough and well-written. You should go to college. Seriously, though, I want to make sure I understand the current situation: the legitimate Ukrainian government in Kyiv controls the western 2/3 or so of the country, while most of the eastern 1/3 is nominally “independent” but effectively a Russian puppet state, while Crimea has been fully integrated into Russia proper. Is that about the size of it?